One of the reasons for the success of Apple iPhone/ iPod/iPad is the number of apps that are available for the devices. There will be an iPhone app for every single web application, game or software. However, the iPhone or iPod apps can only be installed using iTunes. The purchase, transfer, OS updates all happens through Apple iTunes software for Windows or Mac. Furthermore, we need a credit card, iTunes gift certificate or Paypal (US) to purchase iPhone/iPod apps and transfer it to the device. However, most of the users in India doesn’t have a credit card. So here is an alternate method that can be used to purchase iPhone/iPod/iPad apps without a credit card. The only requirement is to have an internet banking enabled bank account with option to create and use VCC’s. The Virtual credit card facility is being provided by banks all over the world. There are some websites that also provide VCC code against cash payment. The VCC is nothing but a credit card valid only for 24 hours. They can be created with a definite amount in a users bank account. Therefore, we can use VCC in all places where it needs a credit, without exposing original card details. Here I am explaining the process of purchasing an iPhone app in India using HDFC NetSafe VCC. 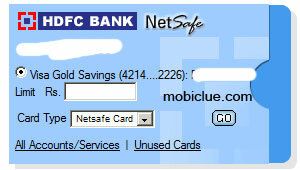 Internet banking and NetSafe are pre-activated with all HDFC bank accounts. Register for Netsafe with your debit card and PIN number to access the service. The next thing is to select the iPhone/iPod Touch app that is to be purchased. Here I am selecting Angry Birds for iPod Touch, which costs $.99 for full version. Now create a VCC worth $.99. ~ 50INR. For that enter limit as 50 and click on Go. Now it will take you the VCC page where you can see your newly generated Virtual Visa Card. Copy the card number, CVV2 and expiry date to a file. Unfortunately it is not possible create VCCs with HDFC mobile banking app. Now Open iTunes and go to view my account from store tab at the top. Edit and save payment information with the newly generated Visa VC card details. In the next step open your iPhone/iPod/iPad and go to the apps store. 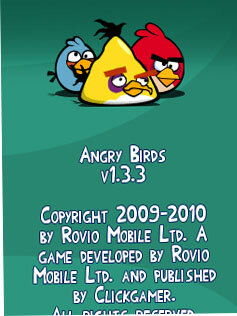 Search for Angry birds in app store and click on buy now. Otherwise search the app within iTunes, download and sync it with your iPhone/iPod or iPad. Your iDevice will then install Angry Birds app. You will get the receipt of your purchase in the very next day. Its a good way to pay on itunes without a credit card, but you have a problems with the VCC, you can’t use more than 5 VCC on itunes store in 30 days.